A now abandoned schoolhouse near Rollinsville. The founder of this mining camp outlawed saloons and dancehalls. 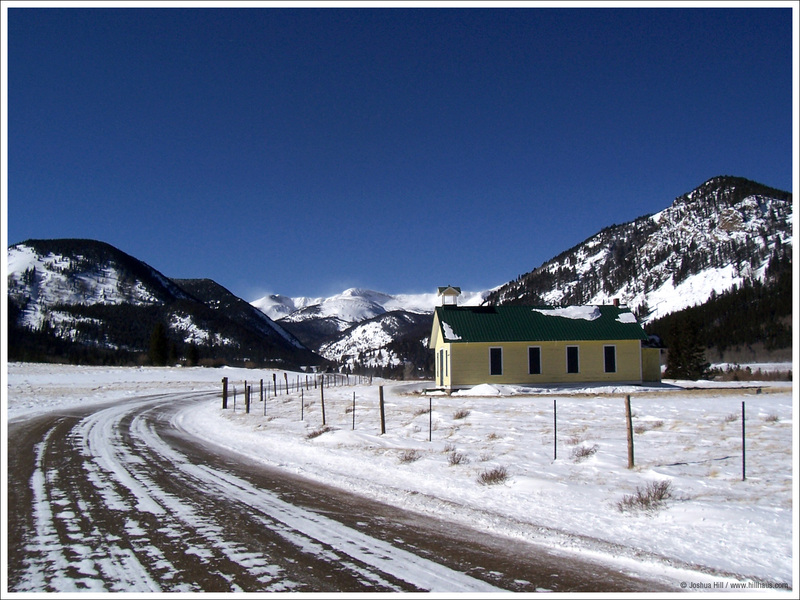 Today the camp is one of the trailheads for the James Peak Wilderness. The trailhead is located at the east portal to Moffat Tunnel, which carries trains through the Continental Divide.